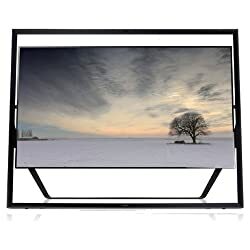 Samsung UN85S9 85-Inch 4K Ultra HD 120Hz 3D Smart LED UHDTV (Black) I needed an additional television for my breezeway walking from the side courtyard to the master quarters. Ever since Carlton renovated the Elephant exhibit, I only have the noise of the waterfall and the Harp player outside. Regardless, I love how easily it was for the commoners to attach the television to work with the people mover we have around the complex. I had to order 3 more, 1 for the master bath, 1 for the tennis court and I felt the 70 inch 3d television the commoners had in their basement dwellings needed an upgrade.